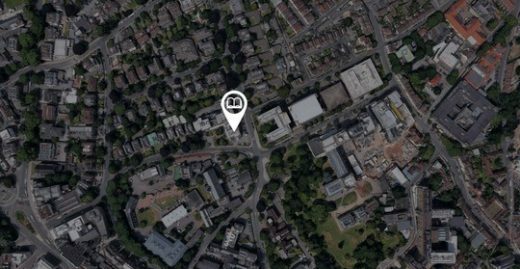 A new £80 million library development is to be built at the heart of the University of Bristol’s Clifton Campus in South West England. The University of Bristol has appointed a collaborative team formed by British architecture studio Hawkins\Brown and the Danish practice Schmidt Hammer Lassen Architects to design a new £80 million University Library as a landmark project for the university’s revitalization of its Clifton Campus. The renowned British engineering firm BuroHappold is the third member of the team. 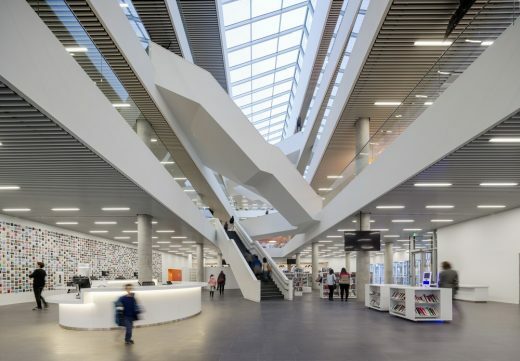 The international competition called for architect-led teams to design a contemporary library, while acknowledging the conservation setting and abiding by the university’s high standard of sustainability. 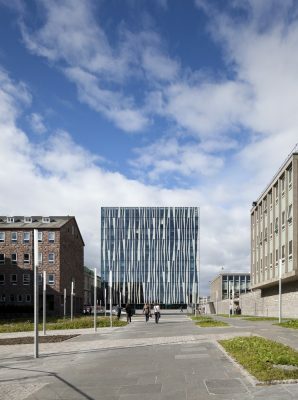 The winning team combines Schmidt Hammer Lassen’s international and award-winning expertise in library design with Hawkins\Brown’s unrivalled experience in the UK higher education sector. The winning team was chosen after a competition which also included AHMM, Wilkinson Eyre Architects, Feilden Clegg Bradley Studios and Aecom with Snohetta. The team will now begin work to develop a detailed design which will involve consultation with future users of the library and the public as well as a broad range of stakeholders in the landmark project. The new library will help form a gateway to the Clifton Campus, which the university has wider plans to remodel over the next five years to create a welcoming ‘heart’ to the university — for students, staff and members of the public alike. The winning proposal is for a landmark building that integrates with the local built environment, capitalises on the location and views, and extends the landscaping from Royal Fort Garden throughout the whole precinct. There is an ambition to include exhibition spaces, reading rooms and a café for the public to enjoy. 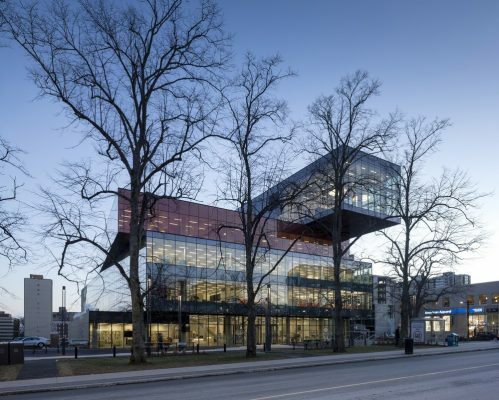 The new library may also include a cultural collections centre to give access to the university’s world-class collections of historic books, art and theatre artefacts. Professor Hugh Brady, Vice-Chancellor and President of the University of Bristol, said: “The new state-of-the-art library will be an integral part of the academic experience of so many of our students and staff — especially, but not exclusively, in the humanities and social sciences. Hawkins\Brown’s recent higher education buildings include the UCL Bartlett School of Architecture, the Bob Champion Research and Education Building for the University of East Anglia and the soon-to-be completed The Beecroft Physics Building, a major new research and laboratory facility for the University of Oxford. 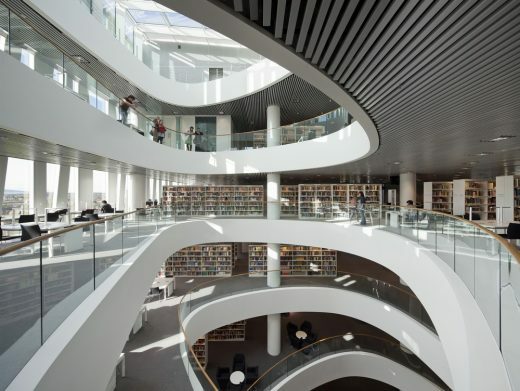 Schmidt Hammer Lassen’s international portfolio of library projects includes the Sir Duncan Rice Library at the University of Aberdeen; Dokk1 in Aarhus, Denmark — Scandinavia’s largest public library; and Halifax Central Library in Canada. BuroHappold Engineering’s current and recent university projects include the Forum at the University of Exeter, the David Attenborough building at the University of Cambridge, the UCL Bartlett School of Architecture, the faculty of Arts at the University of Warwick, the Michael Uren building at Imperial College London and the Fry Building and the masterplan for the new Temple Quarter Campus, both for the University of Bristol. Work on site is planned to begin over the summer of 2019, with completion estimated to be in 2021. The University of Bristol is ranked within the top 50 universities in the world (QS World University Rankings 2018); it is also ranked among the top five institutions in the UK for its research, according to new analysis of the Research Excellence Framework (REF) 2014; and is the 3rd most targeted university by top UK employers. 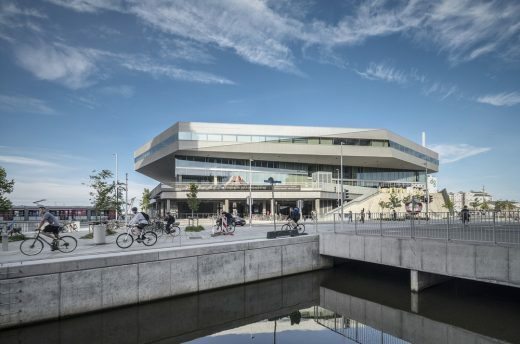 With 30 years of experience, Schmidt Hammer Lassen Architects is one of Scandinavia’s most recognized and award-winning architectural practices. Working out of studios located in Copenhagen, Aarhus and Shanghai, we provide skilled architectural services all over the world, with a distinguished track record as designers of international high-profile architecture. 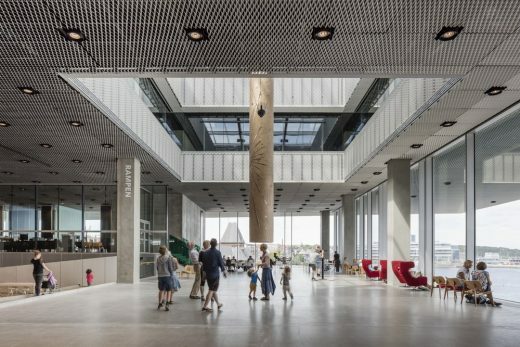 We are deeply committed to the Nordic architectural traditions based on democracy, welfare, aesthetics, light, sustainability and social responsibility. Hawkins\Brown is an architecture practice based in London and Manchester. Founded more than 25 years ago by Partners Russell Brown and Roger Hawkins, the firm works across a range of types and scale, bringing a collaborative approach to its projects. The practice has completed work on a number of significant arts and culture projects around the UK, including the Henry Moore Foundation’s site at Perry Green in Hertfordshire, The Roald Dahl Museum and Story Centre in Great Missenden, Bucks and the New Art Exchange in Nottingham. Hawkins\Brown is one of the UK’s leading architects in the higher education sector and is currently working on a number of academic buildings throughout the country, including the Beecroft Theoretical and Experimental Physics Building for the University of Oxford. Hawkins\Brown is currently working on a major project to transform London’s 2012 Olympic broadcast and media centre into a new digital quarter in east London, as well as three new central London Crossrail stations. In 2016 the practice completed the Bloomsbury headquarters of the UCL Bartlett, one of the world’s most prestigious schools of architecture. In 2013 Hawkins\Brown was shortlisted for the RIBA Stirling Prize for its work on the regeneration of Park Hill in Sheffield. BuroHappold Engineering is an independent, international engineering practice that over the last 40 years has become synonymous with the delivery of creative, value led building and city solutions for an ever-changing world. Having worked on every continent, our clients include more than 90% of the world’s leading architectural practices and we have collaborated with global organisations such as the United Nations, The World Bank and UNESCO. Through our global community of driven, world leading engineering professionals we deliver elegant solutions for buildings and cities that seek to address the major problems facing societies today.